In a development that is expected to cause diplomatic ripples, the New York Times reported on Wednesday China and Pakistan have a “confidential plan” to jointly build a new generation of fighter aircraft and other weapons as part of Beijing's Belt and Road Initiative. The report by Maria Abi-Habib in the New York Times is significant as it challenges China's frequent assertions that the Belt and Road Initiative (also known as One Belt, One Road) is a purely commercial venture with peaceful purposes. Pakistan plays a key role in the Belt and Road Initiative, having received nearly $62 billion in Chinese investments for the China-Pakistan Economic Corridor (CPEC). CPEC involves a highway from China to Pakistan's Gwadar port, which would allow Beijing to bypass the Indian Ocean route for trade and shipment of imports and exports, both shortening transit time and also preventing China's rivals from blocking supplies. Providing details about the defence manufacturing proposal, the New York Times claims the plan was created by the Pakistan Air Force and Chinese officials early this year. It envisages using a special economic zone built under CPEC to produce a new generation of fighter aircraft. The two countries are also expected to jointly build new radar systems and other weapons. While the New York Times did not specify what kind of fighter aircraft China would build in Pakistan, Beijing is currently focusing on two stealth aircraft—the J-20 and J-31—and indigenous derivatives of the Russian Sukhoi SU-27 family as well as the single-engine J-10. Over the past decade, Pakistan and China have been cooperating on manufacturing the JF-17 low-cost fighter in the Punjab province. 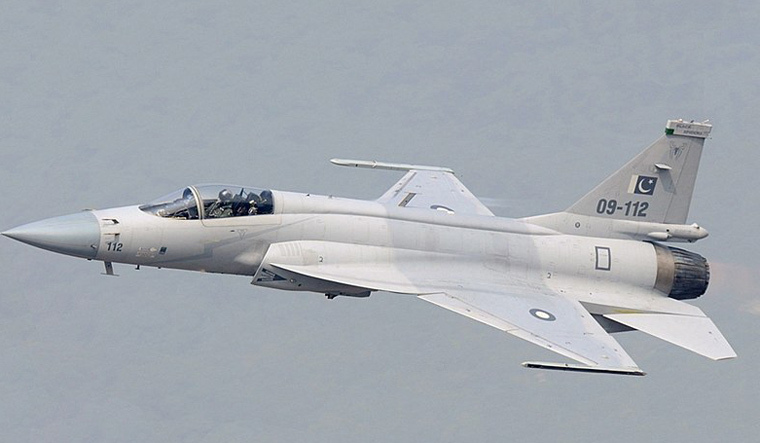 While China has developed the JF-17, it has not inducted the aircraft into service. The JF-17 recently won an export order from Nigeria and the aircraft was also spotted at an air force parade in Myanmar. The New York Times report speculates China intends to use the planned defence manufacturing hubs in Pakistan to win new export customers among Muslim countries. The New York Times also explains that China is continuing development of the Beidou satellite navigation system, Beijing's response to the American Global Positioning System (GPS). Pakistan is a key partner for Beidou, having built a number of ground tracking stations for the network. In addition to aiding civilian navigation, Beidou will improve navigation and targeting accuracy for Pakistan's military assets such as aircraft, ships and missiles. The New York Times article warns the Gwadar port could be used by Chinese submarines in the future for refuelling. China had signed a deal worth $6 billion to sell Pakistan eight conventional submarines in 2015. The New York Times report also explains concerns that the US has about the military dimension of the Belt and Road Initiative. It reproduces a warning from US Vice President Mike Pence about how China had pushed Sri Lanka into a debt trap to further its geopolitical ambitions.